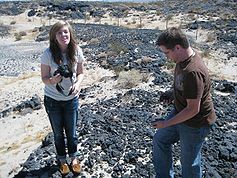 Nate Loper is the Director of Rim Tour Operations for Canyon Ministries, providing daily Christian rim tours at the Grand Canyon, and multi-day river trips through the canyon on the Colorado River. He is also the founder of the Genesis Creation Science Institute. Traveling around the nation, Nate has spoken at conferences and events in various churches, schools, and universities on a wide variety of topics such as Creation vs. Evolution, Astronomy, Geology, Dinosaurs and more. 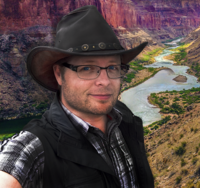 Nate has lead numerous outdoor trips and tours through various museums, fossil digs, and national parks, and has spent over 500 days studying and teaching at the Grand Canyon, conducting more Christian tours there than anyone else in history. After serving as a pastor for 12 years, Nate and his family moved to Flagstaff, Arizona to continue working full-time with creation science and developing christian tours. 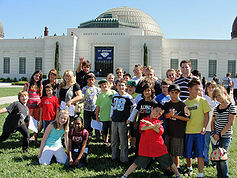 In 2010 Genesis Camp (www.GenesisCamp.com) was founded by Nate Loper and is a creation science themed day camp for students, designed to teach them about God's created world and the scientific evidence for a young-earth creation. Over the years hundreds of students have attended the camp and have learned first-hand about the veracity of God's Word and creation through hands-on teaching, experiments, and field trips. 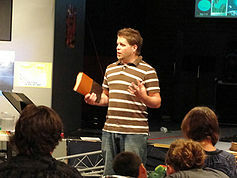 Apart from just focusing on locations within the United States, Nate also leads international tours to places like the UK, where they guide the London Christian Tour. This tour is open to people from around the world, and takes place every two years. While sightseeing around London is a part of this experience, this 7-day tour also focuses on teaching Creation Science, Biblical Archaeology, and Church History through various museums, churches, and historic sites. This page was last modified on 30 November 2018, at 14:05.